Howard I. Schiff, M.D., FACS and Jonathan D. Schiff, M.D. specialize in Urology. Dr. Howard Schiff has been a urologist caring for patients with urologic problems in the New York area for more than 25 years. He has been recognized by the Castle Connolly's Top Doctors: New York Metro Area and New York Magazine as being one of the best doctors and urologists in the New York - Metropolitan area. He has been recognized nationally in the Top Doctors Guide in the United States. Dr. Jonathan Schiff recently completed training as a urologist at the New York-Weill Cornell Medical Center Urology program gaining special expertise in male infertility, microsurgical varicocelectomy and vasectomy reversal, laparoscopy and robotic prostatectomy. During residency he won several awards for excellence in research including the prestigious Sociecty for Male Reproduction in Urology prize at the 2004 American Society for Repproductive Medicine meeting. He has also published extensively in the fields of male infertility, laparoscopic kidney and adrenal surgery and erectile dysfunction. They have special interests and expertise in the treatment of prostate disorders including microwave thermotherapy of bengin prostate disease and brachytherapy for prostate cancer, urinary incontinence, vasectomy and female urology. Dr. Schiff offers the full range of therapies to treat disorders of the kidneys, ureters, bladder and male genetalia. He also treats issues of male fertility and sexual function. Dr. Howard Schiff is an Assistant Clinical Professor of Urology at the Mt. Sinai School of Medicine and an Adjunct Assistant Clinical Professor of Urology at the Weill-Cornell School of Medicine in New York. Dr. Howard Schiff is affiliated with the Mt. Sinai Medical Center, New York-Weill Cornell Medical Center and the North Shore University Hospital, all in New York. Our office is located in New York, NY. 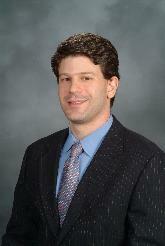 Dr. Jonathan Schiff is an Assistant Clinical Professor or Urology at the Mt. Sinai School of Medicine and a Clinical Instructor in Urology at the Weill Medical College of Cornell University, and is affiliated with the New York-Weill Cornell Medical Center and the Mt. Sinai Medical Center. Please take a look around the site for more information. Browse our office hours using the Office Hours link or use the Contact Us link to find out how to get in touch with us today. All office hours are by appointment only, and appointments can be made by telephone only.